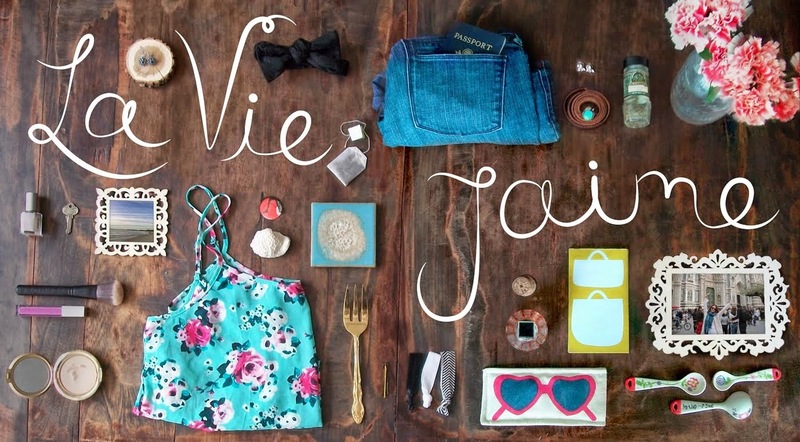 One of my all-time favorite books Eat, Pray, Love is being made into a movie. I cannot wait to see it- Julia, Javier, and James... can you say, perfect casting? I saw these sneak peek pics on BuzzSugar, and it's made me even more excited. If you haven't read it, I highly recommend you do before seeing the movie. The book focuses on her journey to discover herself post-divorce by traveling to Italy, India, and Indonesia, eating, praying, and loving. I totally related to that feeling of wanting to learn more about yourself and find you. Plus, I read this just when I got back from my semester abroad in Italy, so the Italy segment resonated. Julia Roberts as Elizabeth and James Franco as her ex-bf. Elizabeth goes to an Ashram in India. 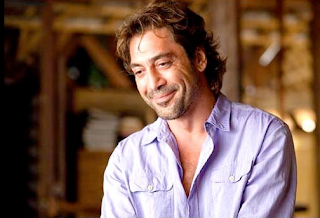 Javier Bardem plays her now husband. Anyone else read this book? Are you excited to see the movie? i keep hearing about this, maybe i should read it. Can't wait, should be very inspiring! um Javier and Franco in the same movie? sounds like heaven! ooo I love these snapshots! Elizabeth Gilbert lives on the same street as my parents in NJ. :) She is always writing away at the local shops. If I ever see her, I'll get her autograph for you! Have you read her second book, Committed? seriously, I'll see what I can do! My parents live the majority of the year in Florida, but they'll be back up in the summertime to New Jersey, so I'll try to frequent her hot spots ;) I've heard that she's really nice and keeps to herself. I love that book and will definitely make a chick date-night to see the movie! i just heard about this when a friend put this as her status. i don't normally read non-fiction but it sounds really good. I love love love this book, it is one that I will read again! I could just absorb myself into it! Have you read the follow up yet? Committed? That is on my list to read next. I can't wait for this movie! Did you read the movie? I haven't even read this book (although I want to) and I'm excited to see the movie! I haven't read it (and I'm normally not a big Julia fan) but I love traveling-to-find-yourself films! They are filled with so much scenic eyecandy! Thank you for the pics! Ooo, I just heard about this movie as well as the book! I want to read the book and looks like I better do it fast! I love Javier too! James Franco and Javier Bardem in one movie is almost too much to handle! I heard about the book and it seemed fantastic. I'm quite surprised to see Julia Roberts as the main character. Oh my gosh, I was obsessed with this book. I think Julia Roberts is so perfect for the role. I CANT WAIT!!! I may be the only person on earth who couldn't get into this book! Maybe I should give it another chance, huh?